Writing in The Moscow Times, Sarah Lain, of the Royal United Services Institute, examines evolving Sino-Russian relations. 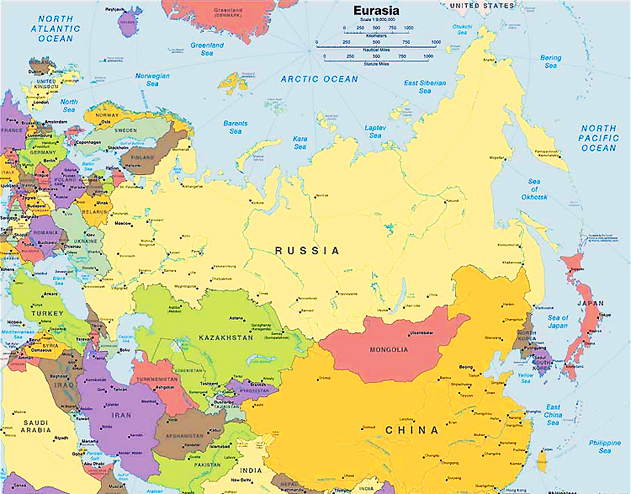 Russia … cannot, and will not try to, compete with China’s growing economic influence … Russia’s leading multilateral economic foreign policy project … the Eurasian Economic Union … has … suffered from a variety of tensions …. Chinese investment via the Silk Road Economic Belt … could help revitalize the Russian-led initiative. * * * It is difficult, however, to see how the two projects would fully integrate given the much broader remit of the Silk Road Economic Belt. … it is more likely that the EEU project is subsumed … China will increase its share in Russia’s infrastructure and finance sectors, mainly on China’s terms. …. the hierarchy within BRICS and SCO shifts in favor of Chinese priorities, in part at the expense of Russia’s.